As commander of Joint Task Force Civil Support, I lead a unique disaster response force, which is much like a national insurance policy. JTF-CS has a highly-skilled, dedicated group of professionals who stand watch 24 hours a day, prepared to respond to a Chemical, Biological, Radiological, or Nuclear (CBRN) incident. I hope we never have to go and do this mission, but we must be prepared at all times. We are charged with monitoring the (CBRN) threat and, when directed, help America by saving lives and mitigating suffering. We strive for success through accurate self-assessment, effectiveness in our centers of gravity, and adherence to sound priorities. Every day, this unit performs a self-assessment to ensure that our force, our resources, and our resolve are up to the challenge. We will be successful in response because we prepare every day, we understand our centers of gravity, and we have priorities that guide our success. Let me share how I prepare my team for the challenges, fog and friction we will face if we are called to respond. JTF-CS plans and prepares to respond to a catastrophic CBRN incident in the homeland. The pressure on us to get there rapidly and begin operating is going to be unlike anything that you’ve ever seen. That’s why this command constantly works through scenarios, evaluates real-world events, and assesses our ability to respond. We have two centers of gravity. The first occurs in Phase 0, or every day operations, where we shape and anticipate our mission responsibilities. Our goal is to create and nurture great relationships with our partners in the CBRN Response Enterprise (CRE) to produce trust, speed of response, and unity of effort. The second occurs in Phases II (Respond) and III (Operate), which require speed in the execution of our duties with urgency and excellence from all involved. In response operations, we command and control the Defense CBRN Response Force (DCRF), a joint-service resource of talented military and civilian professionals. The DCRF is composed of military units from across the country. Our primary annual exercises are Sudden Response and Vibrant Response, which prepare us for a catastrophic CBRN event in the homeland, where we would be assigned as direct support to a lead federal agency such as FEMA. Exercise Sudden Response tests and sustains JTF-CS procedures and collaborative efforts in response to the initial phases of a simulated man-made or natural disaster. Exercise Vibrant Response is a mission validation, command-post exercise that tests the capabilities of the federal response to meet the expectations of the Nation. It provides realistic training to prepare CBRN response units to integrate with civilian partners and respond to natural or man-made catastrophic CBRN events. We work with our partners to ensure that during response operations we function as a single, cohesive unit. Consistency in securing that cohesion is achieved through my four priorities: readiness, responsiveness, relationships, and unity of effort. Readiness means ensuring the DCRF is prepared and postured to conduct no-notice operations when notified of a catastrophic CBRN event. DCRF leaders are charged with sustained CBRN proficiency, an effective leader development program, and effective management of best practices, tactics, techniques, and procedures resulting in high levels of interoperability. Readiness requires our continued expansion of expeditionary and distributive operations capabilities. JTF-CS and its partners must make the most of the time we have left of bang, or the catastrophic incident. Distributive operations, for instance, will allow us to use cutting-edge technology to put our people in the places where they can be the most effective, whether that is in the affected area or in some other location that is advantageous to the mission. If we are called to execute this mission, the challenge will be great. Our forces will have to deal with the psychological effects of the incident, a fear of the unknown, and the challenge of moving 5,200 DoD forces and their equipment. They will have to navigate through a massive population going in the other direction, escaping the affected area and seeking safety. Speed of response and synchronization of activities establish our center of gravity during the response phase. Relationships, my third priority, means that we work every day to create and nurture connections with others that build trust, speed and, most importantly, unity of effort. We build communication networks intended to help us overcome discord, inadequate structure, and cultural differences, as well as bureaucratic limitations during the stress of a response. We must be agile in fulfilling these challenges. For instance, at any time about 20 percent of my Headquarters team is traveling the U.S. supporting the exercises of other organizations. They do it for several reasons. 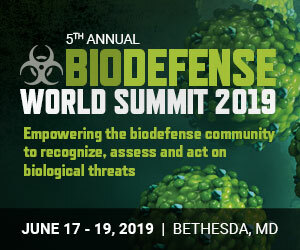 They might be providing CBRN subject matter expertise, working with the 10 Defense Coordinating Officers (DCO) who are assigned to the FEMA regions, or supporting national-level special events. For instance, this team has supported the United Nations General Assembly, visits by the Pope, the President’s State of the Union Address, inaugurations, the Super Bowl, World Scouts Jamboree, National Guard Vibrant Response Exercises, and the 2010 Winter Olympics in Canada. These events expand our network while allowing us to provide insight on JTF-CS capabilities and capacity. Finally, unity of effort is the priority that allows us to operate and communicate effectively during the fog and friction of a crisis. Military units are accustomed to a well-defined chain of command, but if we are called to respond I doubt the chain of command will be crystal clear where everyone understands who works for whom at the outset. Our Title 10 forces will be responding and working with Title 32 National Guard partners, along with local, state, and federal civilian responders. The civilian leadership of the city and state involved will lead the effort, and JTF-CS will perform in support of the incident commander. This is the nature of what will be an evolving whole-of-government response. Unity of effort is the glue that will bind us together in a whole-of-Nation response. I’ve mentioned trust as I explain how my priorities lead us to mission accomplishment. Trust will be vital in any response effort, because organizations with high levels of trust can operate at the speed of the problem or challenge. Low levels of trust take away the ability to operate efficiently. At JTF-CS, we pride ourselves on being trustworthy, positive, hardworking, and dependable. The level of trust we share will help us transition from day-to-day operations to a crisis response. Building trust and preparing the force for success through a solid foundation of operations are essential to our continued success. My job as commander is to ready the force and that requires a good work-life balance. Work-life balance tells us we need to manage the five balls of life. They are our work, our health, our family, our friends, and our spirit. My keys to success are attacking each day’s task with a sense of urgency, striving for efficiency in each effort, keeping physically fit with a set workout program, and taking enough leave each year to allow you to regenerate your mind and body. In other words, take care of yourself and you can take care of your family. Every day, I make sure I am saying thank you to those around me. Everyone likes to be thanked for what they do. Recognition is a great motivator for your team. Letting people know you appreciate what they do is also a great way to give them extra energy and confidence to do their assigned tasks. 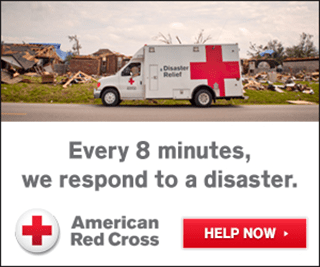 Who is Joint Task Force Civil Support? JTF-CS is the nation’s only standing Title 10 chemical, biological, radiological, and nuclear (CBRN) joint task force. It is comprised of active and reserve component service members from the Army, Navy, Air Force and Marines. The headquarters also includes Department of the Air Force civilians. Established in October 1999, JTF-CS is assigned to U.S. Northern Command and conducts CBRN response operations, planning and preparedness to maximize mission readiness and capability. The commander of U.S. Army North has operational control of JTF-CS. JTF-CS accomplishes response operations in strict adherence with the Constitution and public law. When directed on the authority of the President, through the Secretary of Defense, USNORTHCOM provides defense support of civil authorities as requested by local, state, tribal and federal officials. Joint Task Force Civil Support (JTF-CS) is a standing headquarters that is always engaged in preparation for a catastrophic CBRN event in the U.S. NORTHCOM area of operations. We prepare for that mission by executing two major exercises: Sudden Response and Vibrant Response. The unit’s focus is to save lives, mitigate suffering, prevent further injury, and provide temporary critical support to enable community recovery. 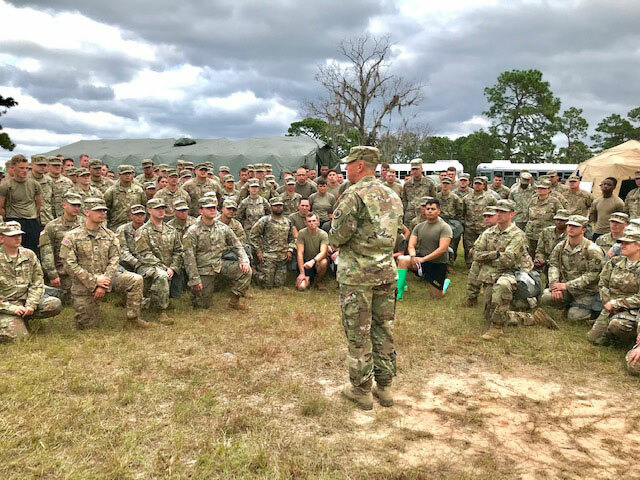 The command is made up of members from all military branches who deploy and conduct training operations with units assigned to the 5,000-plus member Defense CBRN Response Force (DCRF). The DCRF is a scalable response force ready to deploy within 24 hours to support local, state, tribal and federal agencies in the event of a large-scale CBRN incident. The DCRF is comprised of units from across the country. Unlike standard military exercises that prepare units for traditional operations overseas, exercises Sudden Response and Vibrant Response take place in the U.S. as part of the command’s homeland response mission. The exercises prepare DCRF units for Defense Support of Civil Authorities (DSCA) because response operations are always in direct support of a lead federal agency such as FEMA. Exercise Sudden Response (SR) is a JTF-CS-led command post exercise to sustain proficiency in command and control of the 5,000-plus member DCRF. During this week-long exercise, SR tests JTF-CS’ procedures, interagency collaboration efforts, and its ability to coordinate the DCRF’s response to a simulated CBRN event within the continental U.S. and its territories. It runs concurrently with U.S. 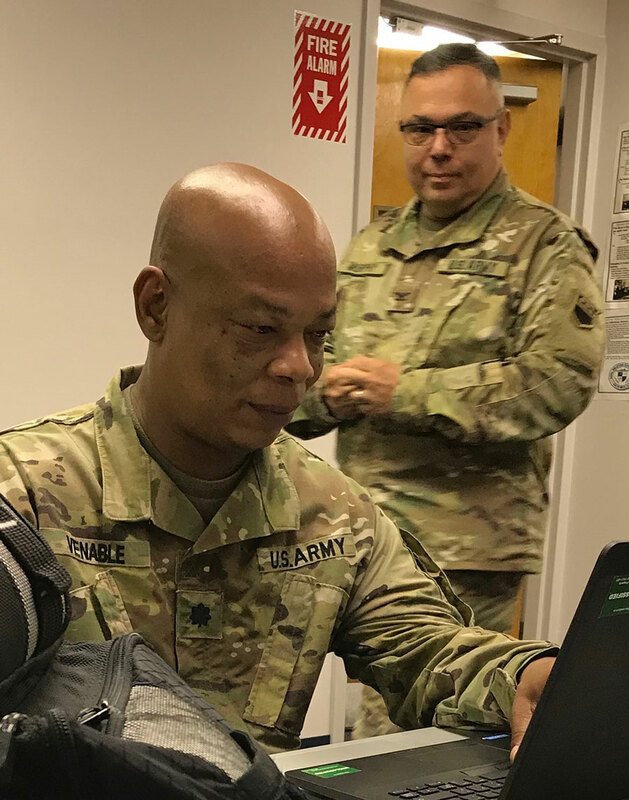 Forces Command’s Exercise Determined Response, and these two exercises enable sustainment training of the on-mission DCRF Task Force Brigade and Battalion Headquarters. 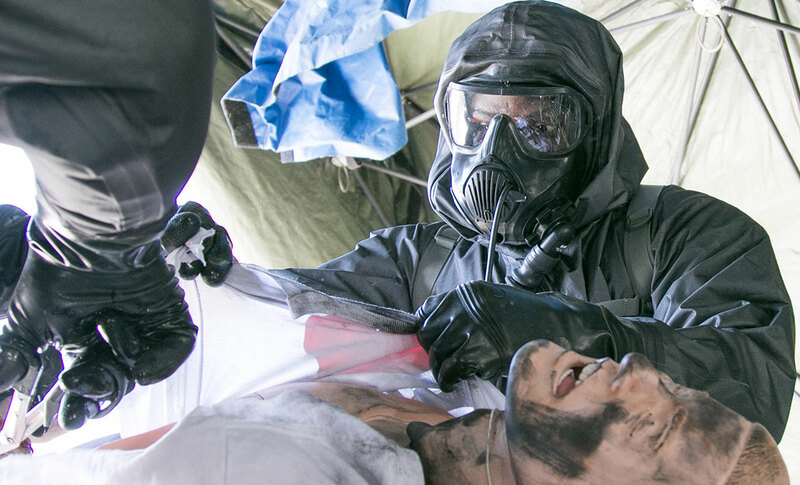 This training ensures a unified team is prepared to respond to a catastrophic CBRN incident in the U.S. Northern Command’s area of operations. Exercise Vibrant Response (VR) is a Command Post Exercise (CPX) that features CBRN Response Enterprise (CRE) consequence management collective level exercise events focused on the DSCA mission set. VR is directed by the commander, U.S. Northern Command (NORTHCOM), Joint Forces Land Component Command (JFLCC). 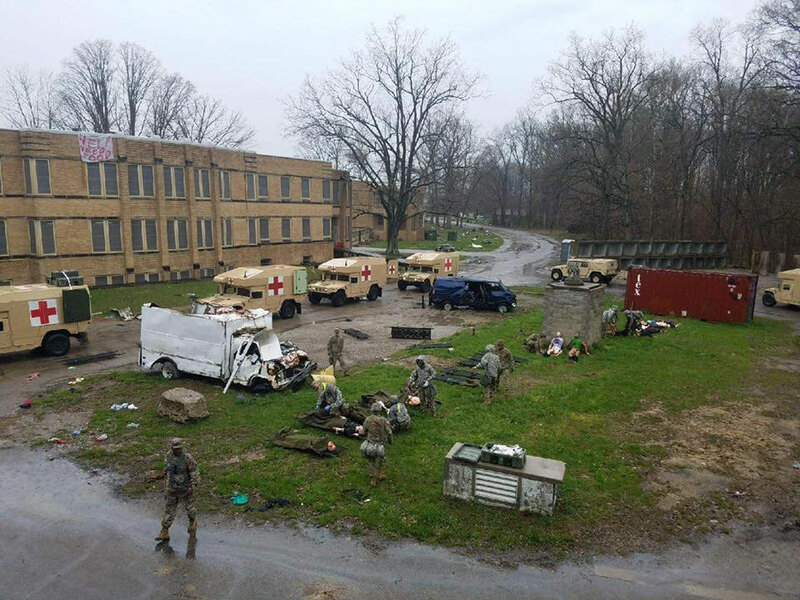 This exercise is the primary annual training event for JTF-CS, and typically lasts for eight days at Camp Atterbury, Indiana. Further, VR is the command’s mission confirmation exercise that tests the CRE’s capabilities to meet the mission requirements of the Lead Federal Agency. It provides realistic training to prepare chemical, biological, radiological and nuclear (CBRN) response units to integrate with civilian partners and respond to natural or manmade catastrophic CBRN events. JTF-CS continues to train and prepare to respond to a no-notice CBRN incident in the American homeland. 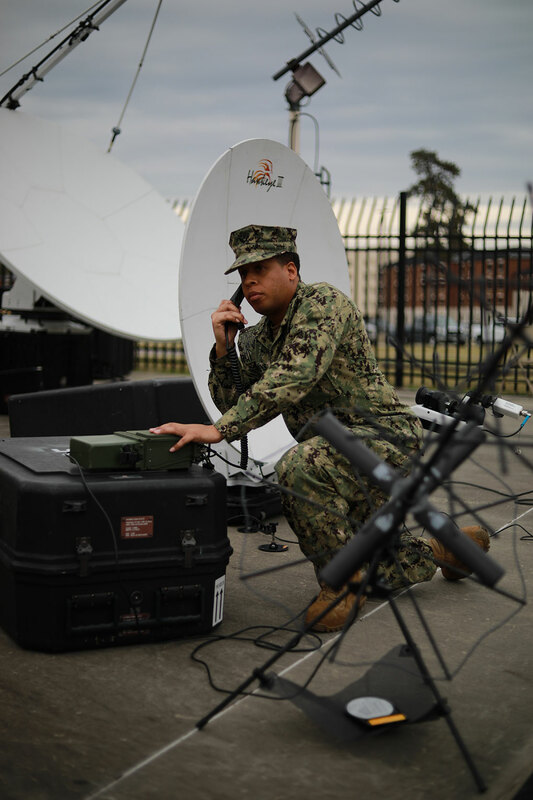 This includes coordination with and training with FEMA, the states, the National Guard, and participation in national-level exercises, all the while working towards making the command faster, lighter, more capable and more interoperable. Furthermore, JTF-CS assists U.S. Army North and U.S. Forces Command in the training of incoming Defense CBRN Response Force units for this non-standard mission. JTF-CS supports National Special Security Events (NSSE) around the nation, providing planning expertise on the response to a CBRN event. If called upon by America during a time of great need, JTF-CS is ready to respond. Additional information about JTF-CS and the capabilities of the DCRF can be found online here: http://www.jtfcs.northcom.mil/About/jtfcs/, or please contact our 24/7 Operations Center at (757) 501-7535.